On War and Democracy provides a richly nuanced examination of the moral justifications democracies often invoke to wage war. 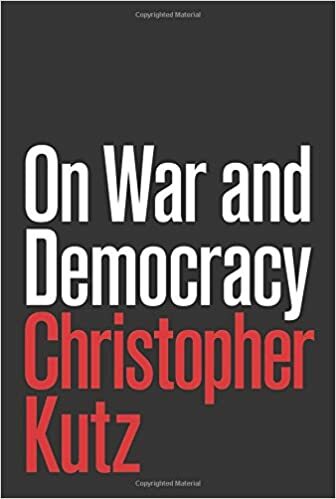 In this compelling and provocative book, Christopher Kutz argues that democratic principles can be both fertile and toxic ground for the project of limiting war's violence. Only by learning to view war as limited by our democratic values--rather than as a tool for promoting them--can we hope to arrest the slide toward the borderless, seemingly endless democratic "holy wars" and campaigns of remote killings we are witnessing today, and to stop permanently the use of torture and secret law. Kutz shows how our democratic values, understood incautiously and incorrectly, can actually undermine the goal of limiting war. He helps us better understand why we are tempted to believe that collective violence in the name of politics can be legitimate when individual violence is not. In doing so, he offers a bold new account of democratic agency that acknowledges the need for national defense and the promotion of liberty abroad while limiting the temptations of military intervention. Kutz demonstrates why we must address concerns about the means of waging war--including remote war and surveillance--and why we must create institutions to safeguard some nondemocratic values, such as dignity and martial honor, from the threat of democratic politics. On War and Democracy reveals why understanding democracy in terms of political agency, not institutional process, is crucial to limiting when and how democracies use violence.